This show shows us what’s it’s like to have a best friend for life! 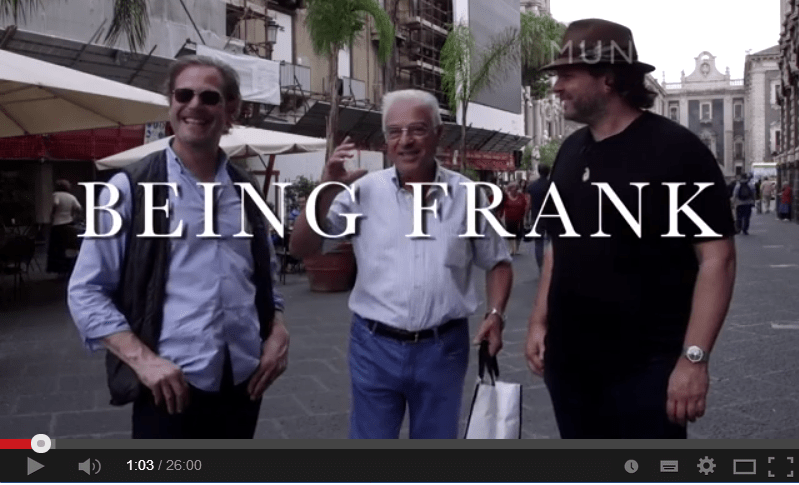 Watch as the Dynamic Duo and Best Friends for life –Frank Castronovo and Frank Falcinelli host a show about them visiting Sicily and “Being The Frankies”. The food and scenery of Sicily is just lovely! This entry was posted in Entertaintment and tagged food, italian food, italy, munchies, olive, olive oil, sicily, travel, vice by TheGoodGoodGuy. Bookmark the permalink.